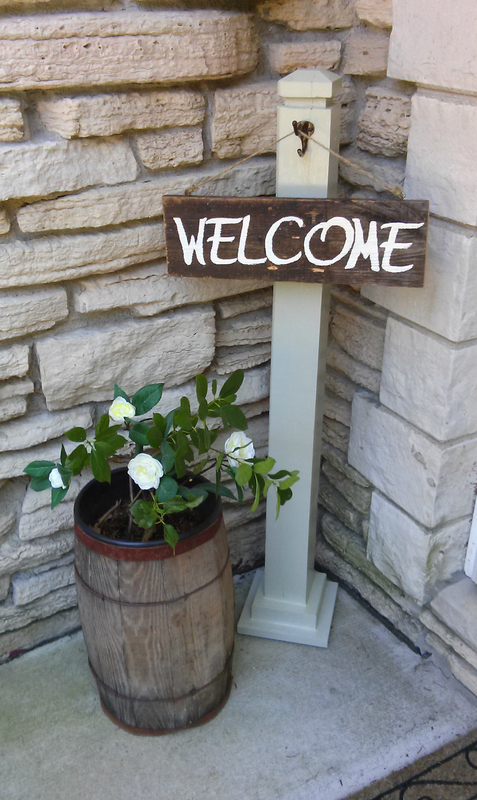 Liven up your front porch with a welcome sign. 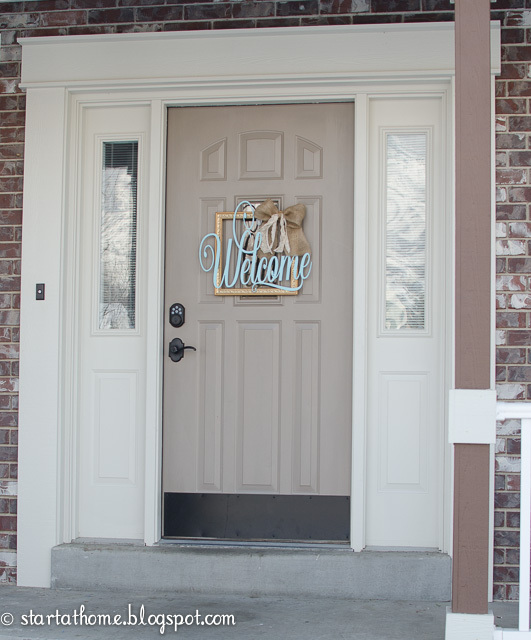 These 10 diy welcome signs for your front porch all add interest no matter what the size of your front porch. 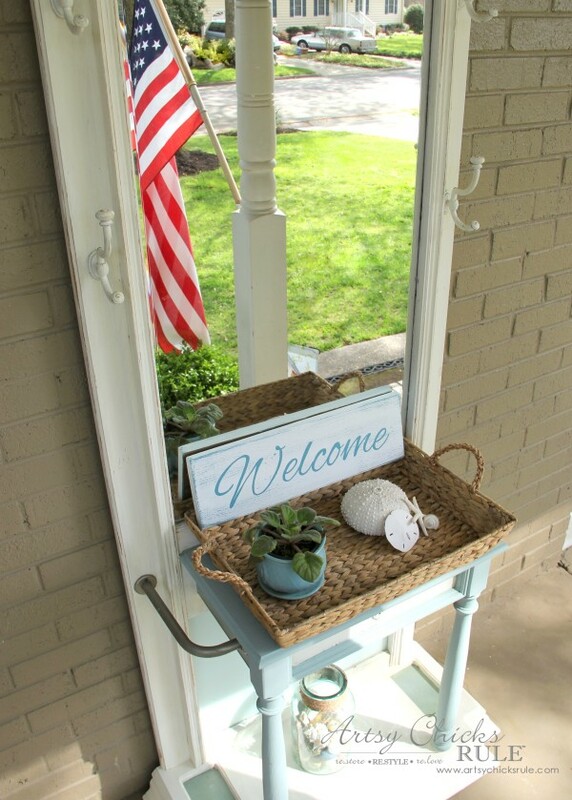 From large wooden signs to cheap and cheerful welcome signs, there is something for every front porch. 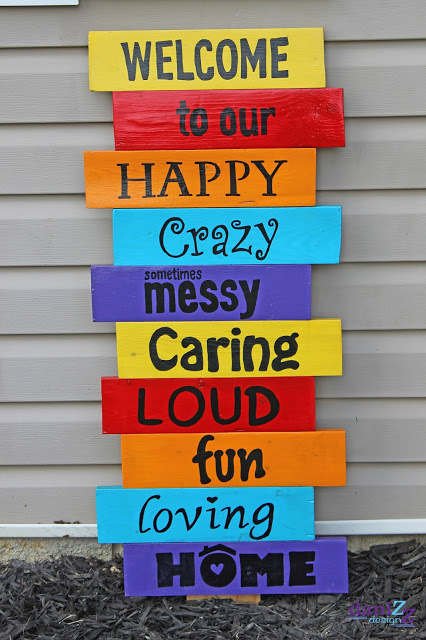 This is a great welcome sign as you can easily change the message for festive celebrations. This tutorial shows you how to make the post and the sign. The woven lattice on this sign adds a point of difference. Wooden letter and a metal trim were added to the frame. Follow this link to find out more about this welcome sign. Cut up a pallet to make this fun welcome sign. 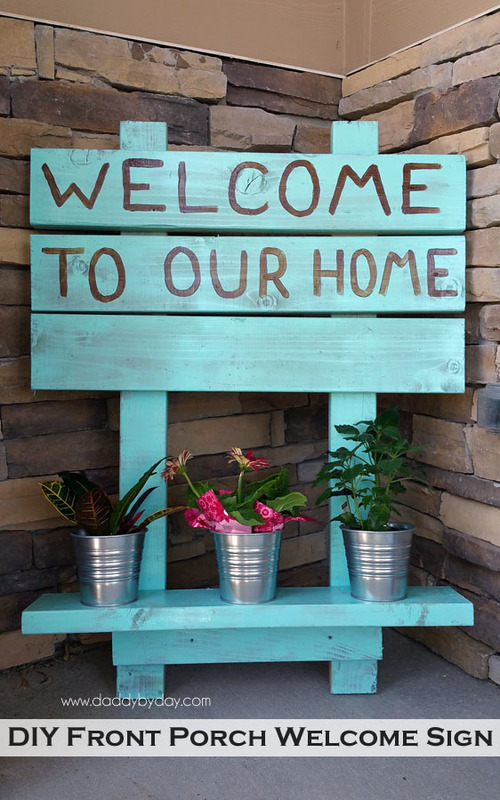 This colorful welcome sign is certain to stand out and add a touch of fun to your front porch or garden. Click here to find out more. The ultimate cheap and cheerful welcome sign. This flip flop sign will brighten everyone’s day. Find out more by clicking here. We love anything multi purpose so we just adore this welcome sign which has space to display and grow plants! This fantastic step-by-step tutorial includes lots of photos so you can see exactly how it’s made. This no stencil painted sign looks very professional and is super easy to make. This is a great method if you don’t happen to have stencils or wooden letter on hand to use. Click here to find out more. This is one fun welcome sign to make. 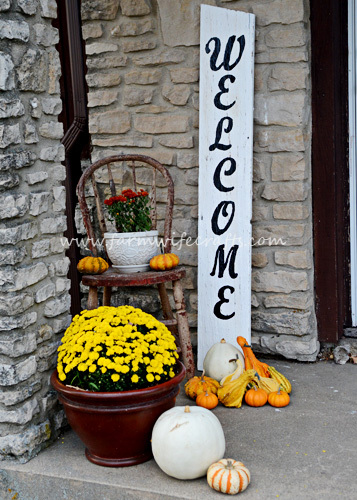 Take a frame some welcome lettering and burlap and lace and you can create a sign just like it. Click here to view the full tutorial. 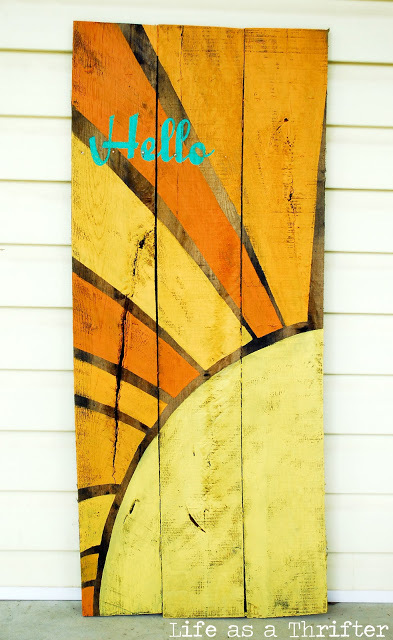 Bring a slice of sunshine to your day with this beautiful welcome sign. Follow this link to find the tutorial. 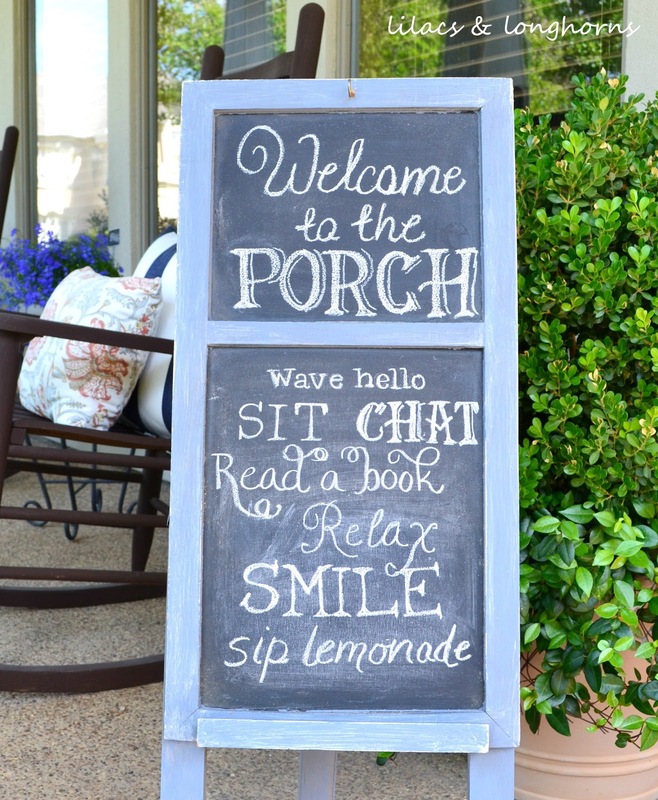 Add a charming chalkboard to your front porch not only does it look great but the kids can have fun using it! Follow this link to find out more. If you are looking for a simple sign then this is the one for you. We love how it is teamed up with other items to make a truly homely welcome. Click here to find the full tutorial.